Maybe I Could Be The Paper Bag Princess? 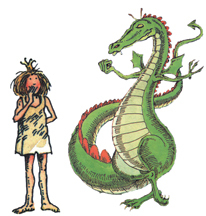 Maybe for Halloween I could be the Paper Bag Princess. 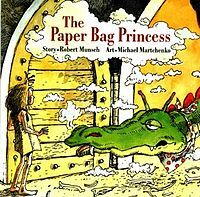 One of my favourite literary characters is the Paper Bag Princess from the book of the same name by Robert Munsch. Princess Elizabeth is one of my role models and she learned from experience! I would rather my daughters want to dress as her than as Cinderella waiting for Prince Charming. Of course, there may not be a paper bag big enough for me. Maybe I’ll think some more on it. Can anyone name some plus-size heros/heroines? Maybe Mae West? What about an obese aerobics instructor? Jabba the Hutt? Tiny the overweight cat? I could be a doughnut. ~ by 1fatgirlshrinking - Diane Kirby on October 27, 2012. I could pull that off, no sweat!